Most couples realize that entering the divorce process means facing the prospect of potentially leaving the relationship with fewer financial resources. Absent a prenuptial agreement, couples should expect to divide their property with the other spouse as a core component of dissolving the marriage. The purpose of property division is to prevent one spouse from taking all the assets and leaving the other with no resources, especially if the other spouse contributed to the accumulation and/or increased value of property during the marriage. While most couples know how much property is owned collectively and separately, deciding how to divide everything is rarely as simple as splitting everything down the middle. This area is one of frequent contention during divorce, with each side often requesting more than the other wants to concede. Florida Atlantic University’s new football coach, Lane Kiffin, recently complained about the divorce award his former wife received last year, claiming he barely had enough left over to live. Parties to a divorce are always free to form their own property settlement agreements, but if agreement is not possible, a court will decide the matter instead. Knowing how a court looks at property division is key information anyone contemplating divorce should have. 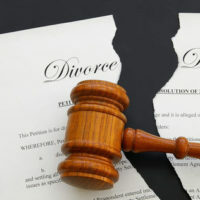 the intentional waste or destruction of marital assets after the divorce petition was filed or within the previous two years. As noted above, only marital property is subject to division, so knowing which property qualifies is necessary to determining how much there is to divide overall. Marital property includes all assets acquired and debts incurred during the marriage, both jointly and separately. Thus, the credit card debt of one spouse could become the other spouse’s obligation if a court assigned this liability to him/her. In addition, gifts between spouses, interests in insurance and retirement plans, and real and personal property jointly owned by both parties, regardless of when it was acquired, is considered marital property. Importantly, non-marital property can be converted to marital property for purposes of divorce if an increase in the value of the non-marital property came as the result of the efforts of either spouse or through the use of marital funds. Thus, if someone is invested in keeping certain property non-marital and separately-owned in the event of divorce, efforts should be made to segregate it from the influence of the marriage, such as having someone else manage and control it. Divorce is a difficult process, and it is important to know how the applicable divorce laws will apply to your situation. An experienced divorce attorney can walk you through the legal process, and thoroughly represent your rights so you do not unnecessarily concede important interests. 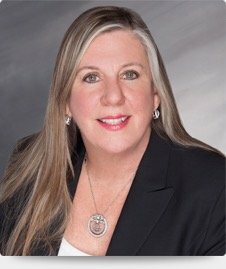 Attorney Joyce A. Julian, P.A. represents clients in Fort Lauderdale in divorce and family law matters, and can assist with your case. Contact the office for a free consultation.